P2R Tow Hook UNIVERSAL - Pann Auto Performance - San Diego largest aftermarket automotive performance parts - What do you drive? 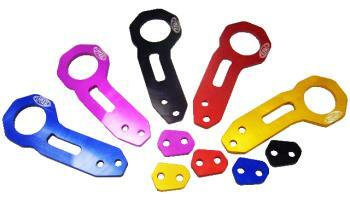 P2R Rear Tow Hooks are made from 6061 aluminum, and are anodized for a show quality finish. Comes with necessary hardware for installation.